backThis post brought to you by World Market . All opinions are 100% mine. 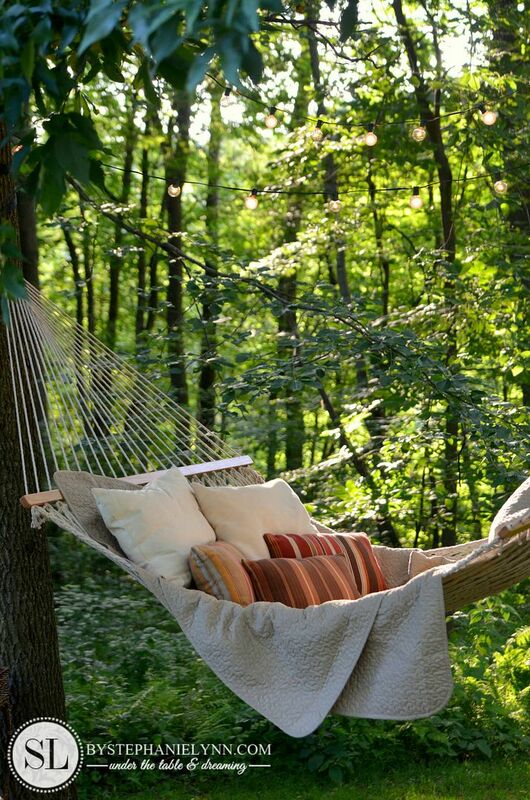 There is nothing quite visually relaxing as a backyard hammock strung between two trees. 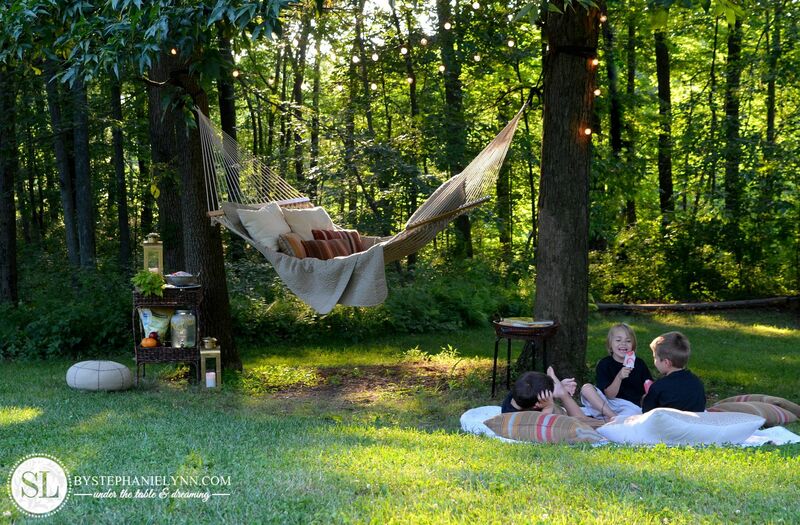 To me they are a simple reminder to slow down, take it easy, and just savor the moment – which summer is suppose to be all about. 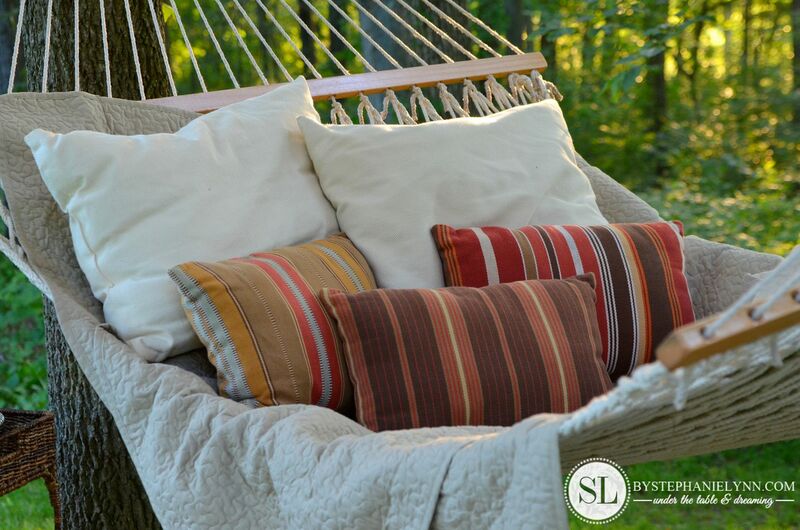 While we need that visual reminder around here, sometimes – the idea of adding a hammock to our own backyard never really occurred to us until this year. Refreshing the playground area is one thing on our list – which we started this spring. It began by removing a small garden I had planted between those two big trees shown above. Once it was gone, Butch and I both looked at each other and simultaneously proclaimed it to be the perfect spot for a backyard hammock. 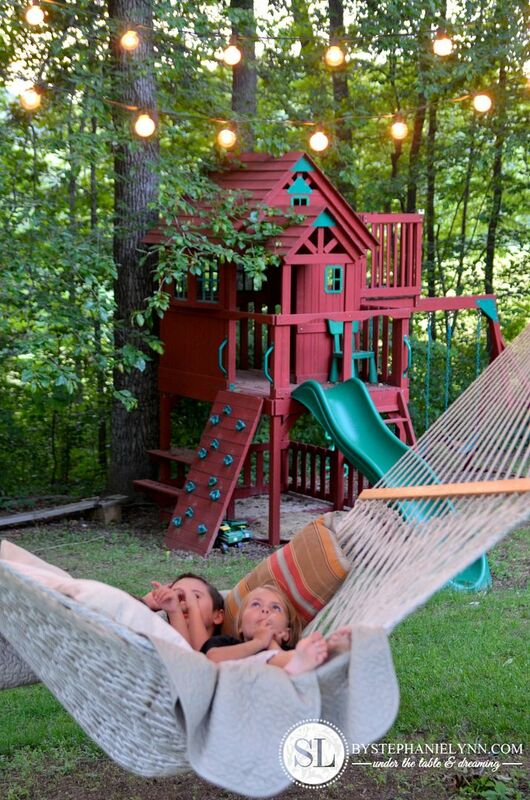 The enticing Father’s Day ads I kept spotting from World Market were embedded in my head and upon checking them out online, I was delighted to find they carry a two person double hammock. Bigger is always better and the more the merrier – right? This was the first time I have ever ordered from World Market online and was thrilled as it quickly arrived – even better than anticipated. Taking care not to damage the tree we hung the hammock with two ratchet straps typically made for tie down applications. 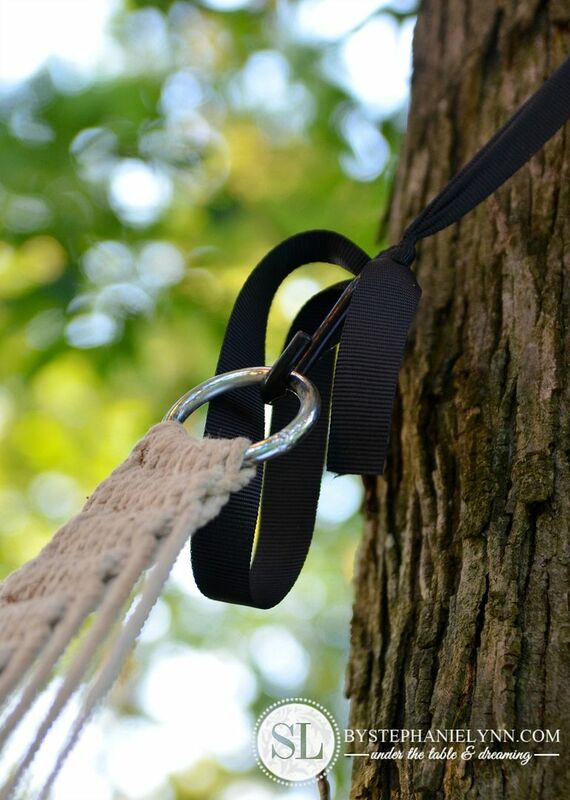 I loved the idea of this hanging method as the hooks on the straps make it super easy to remove the hammock if need be. 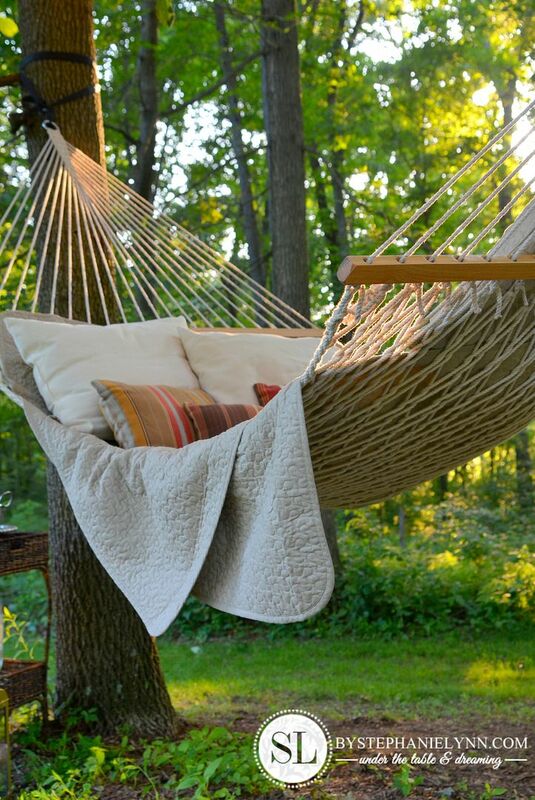 The hammock did come with a removable pad and pillow though I opted to replace them with some neutral colored linens I already had. To give you an idea of the size – those are two twin sized cream pillows shown above. Next up was the addition of some lights to set the tone. 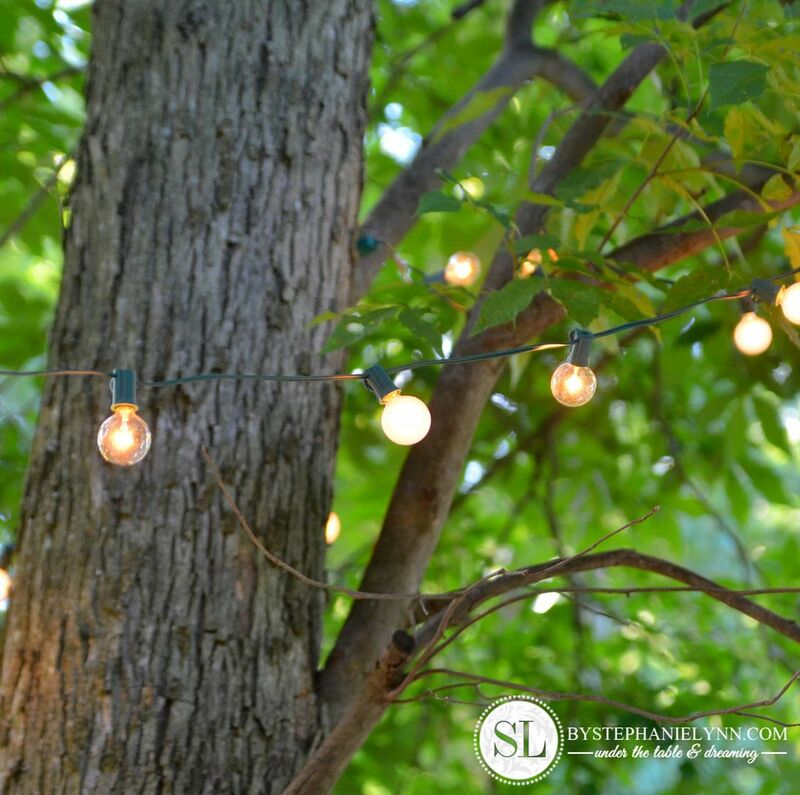 Globe string lights carelessly strung outdoors are my favorite – and these two trees gave me the perfect opportunity to use them. I ended up picking up two sets of string lights – one set of clear glass and one set of the frosted bulbs. The clear globe lights give off quite a bit of light – so to defer the brightness I alternated the bulbs on both sets. While visiting World Market I can’t help but stroll through every nook and cranny – you just never know what you just may find or be able to re-purpose into something else. This trip I felt like I struck gold in the bath department when I found the madras tray table, pictured above. 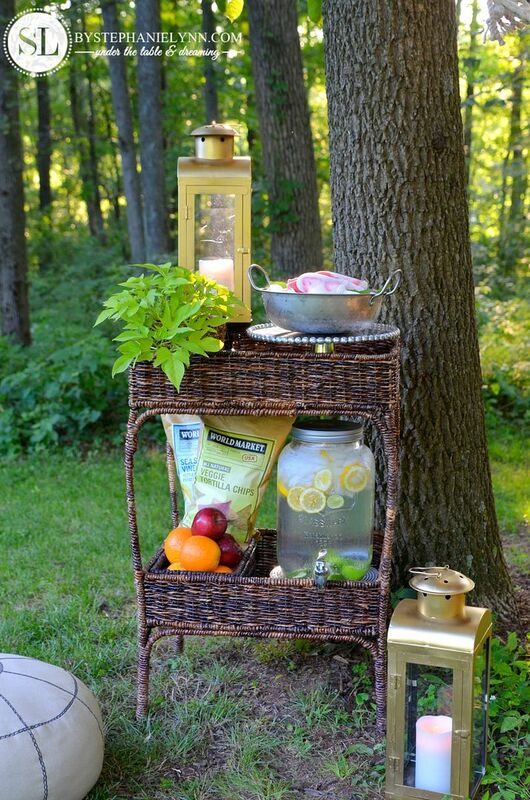 I have a little thing for bar carts right now and thought the tray table would be the perfect addition to the backyard for summer. 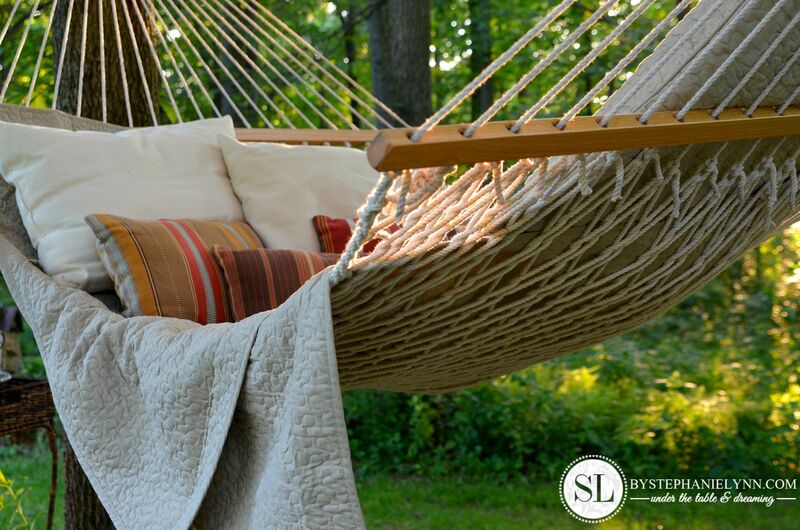 It is generous in size and lightweight at the same time – so it’s going to be easy to move around the yard as needed. The little kids really get a kick out of being able to grab a snack from the cart whenever they want. 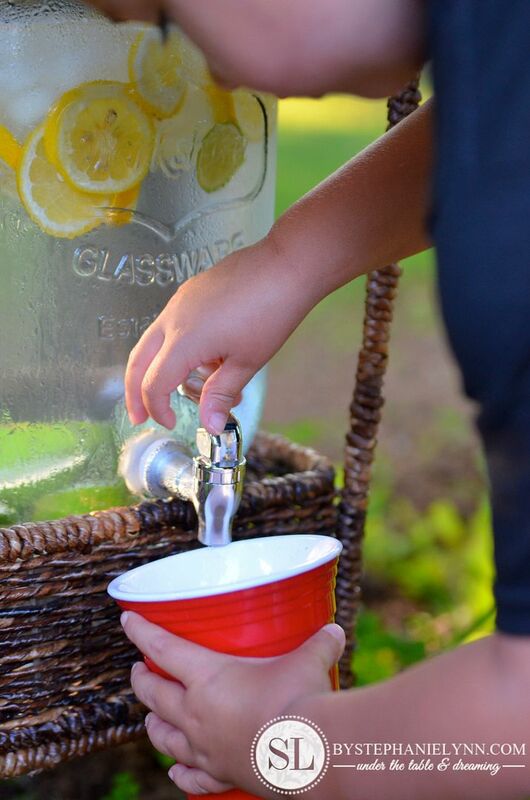 Having ice cold water readily available is wonderful too! 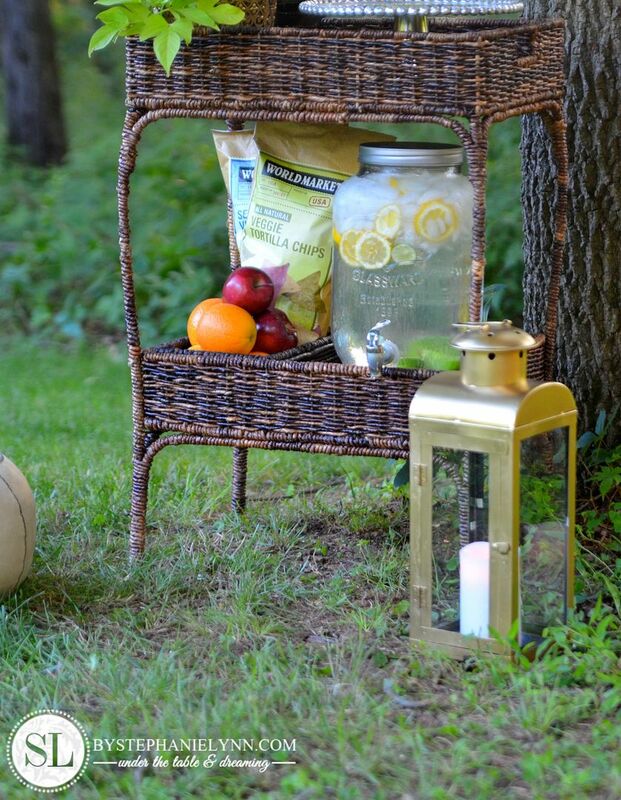 This one is the Glass Yorkshire Dispenser and I just adore the classic vintage mason jar look. I just fill it to the rim with ice, add water and toss in some fresh lemon and lime slices. 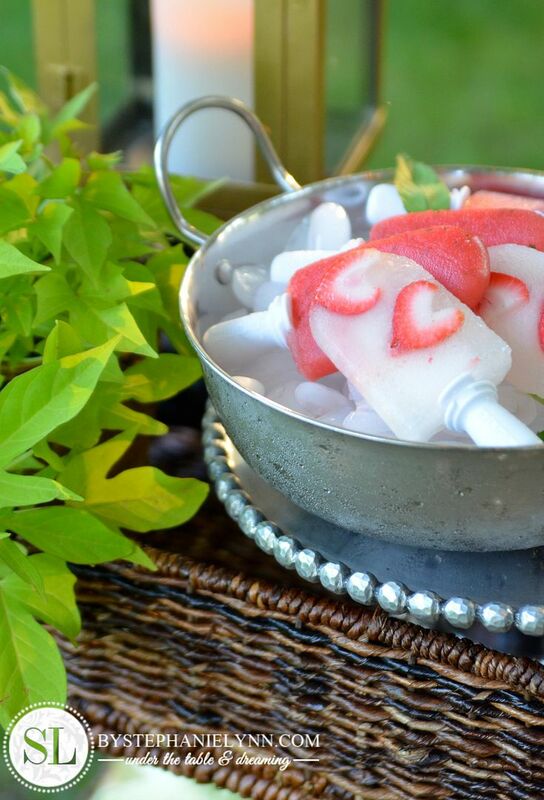 See these adorable popsicles – they were made in just minutes in the Zoku – and I am totally addicted to this little machine. 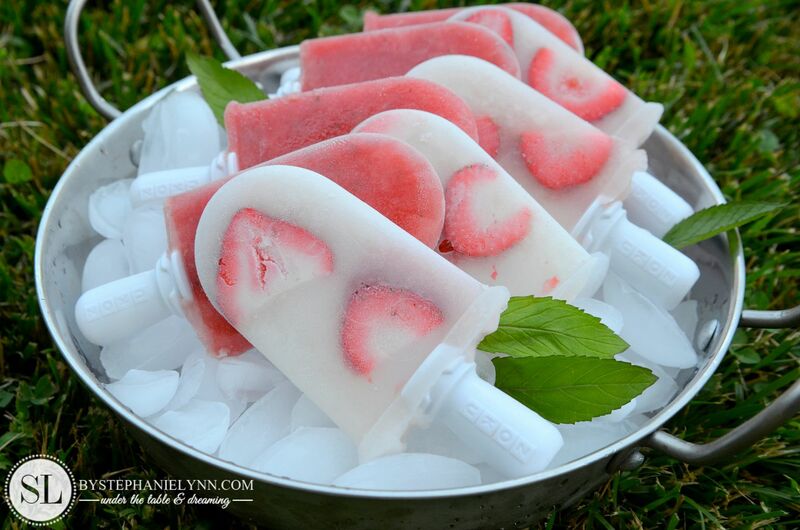 It’s is perfect for my little guy as I am able to make homemade pops all natural, allergy free so he can enjoy them too. The kids get a kick out helping make them too. It is kind of like magic. 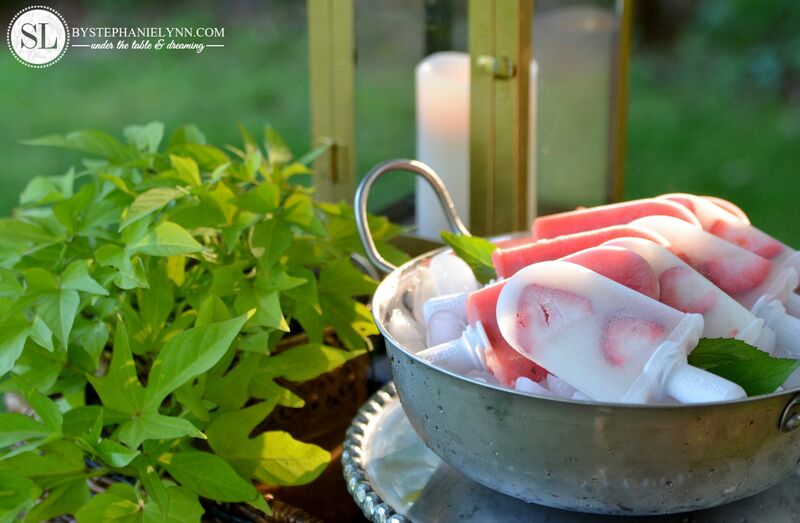 For our cousins weekend the kids picked strawberry lemonade and watermelon mint. We made them the night before and kept them in the freezer until treat time. World Market carries the extra pop sticks so you can always have a generous supply of homemade pops on hand. We served them over ice in a hammered karhai, which is traditionally an Indian wok. I have frequently used the smaller ones for serving bowls but just picked up the larger size during my last shopping trip. It’s stainless steel so perfect for holding the ice and staying cool. I can’t wait to put together some new popsicle combinations. I’ll definitely be sharing more about this gem throughout the summer. 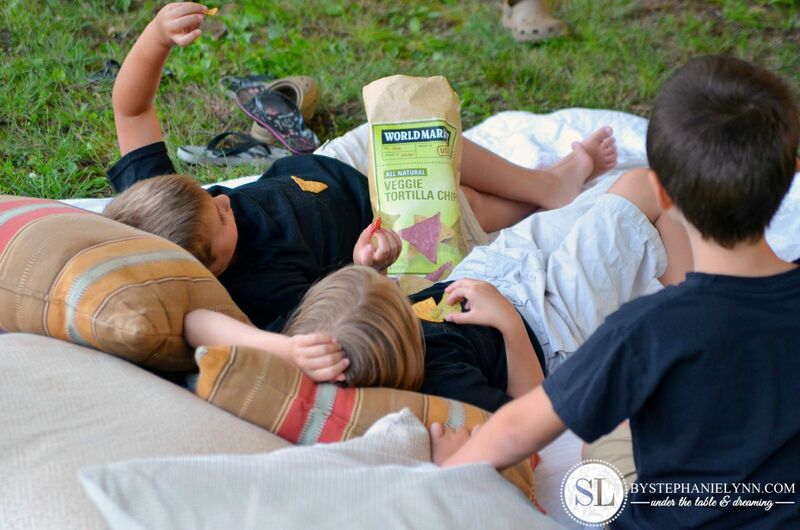 We spend as much time as we can outdoors and while the kiddies are usually running around exploring, they love to lay around and take it all in just as much. 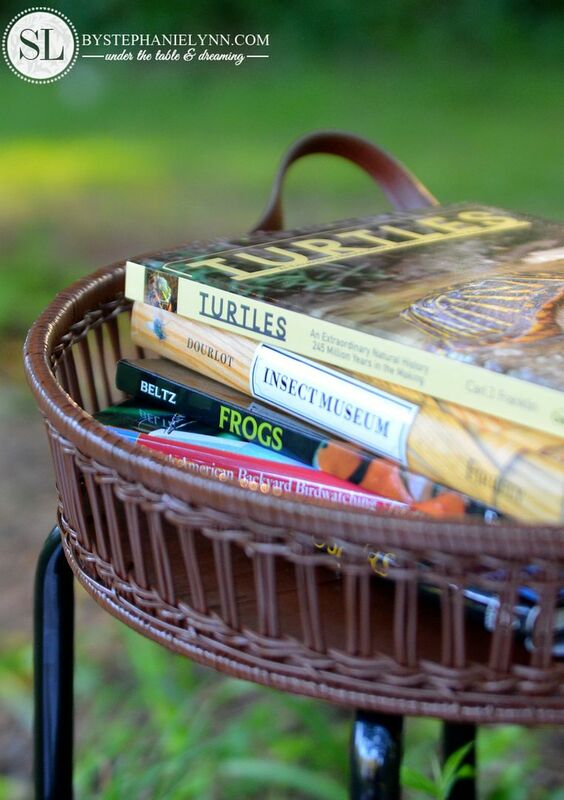 The basket of books was utilized outside more than I could have ever imagined….and will definitely be brought back out on a daily basis. 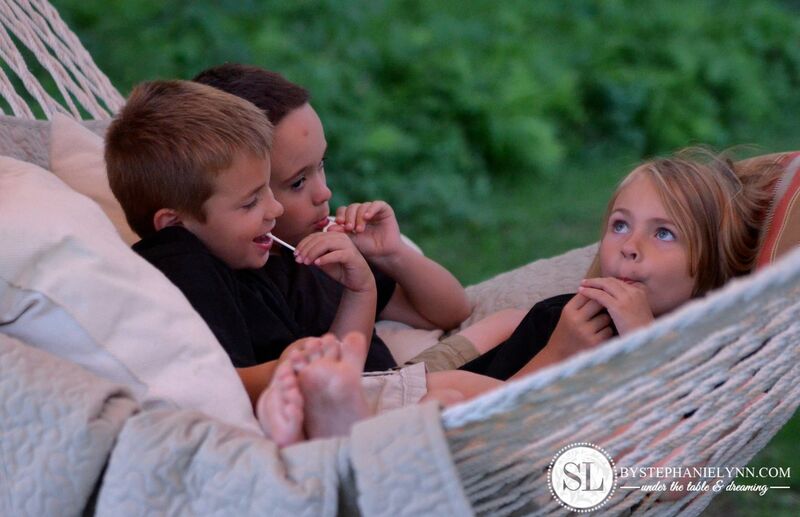 Here are the cousins in the hammock – it fits all three of them comfortably. Did I mention it’s rated capacity is 350 pounds. Having these three in it together alone is definitly worth getting the bigger size. 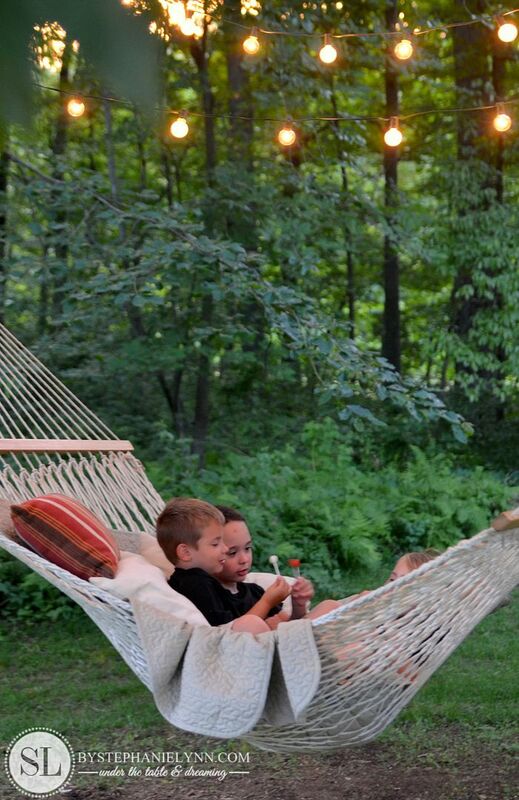 I am still not quite sure why it has taken this long to add a backyard hammock to our outdoor space. I just adore the comfort it adds to this wooded corner of the property – that has otherwise gone unnoticed. Plus the fact it’s in the perfect vincinty for overseeing the playhouse. 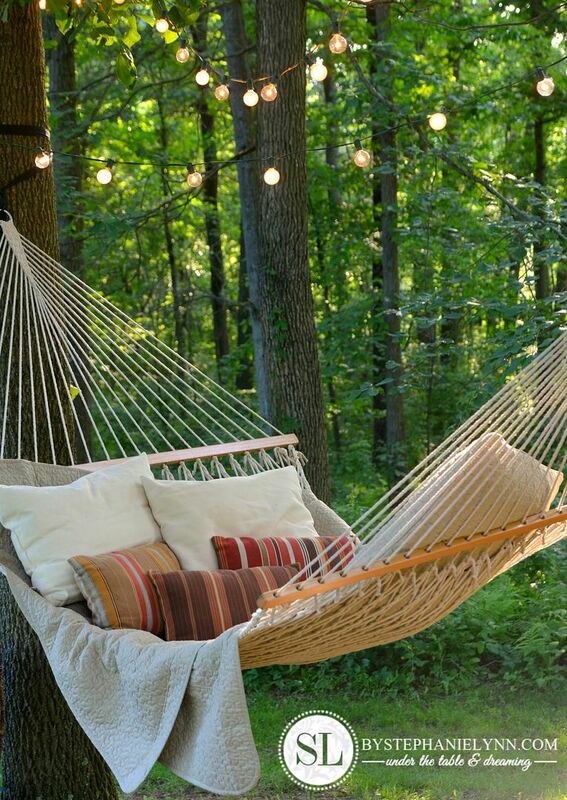 This has officially been declared the new summertime hang out space. 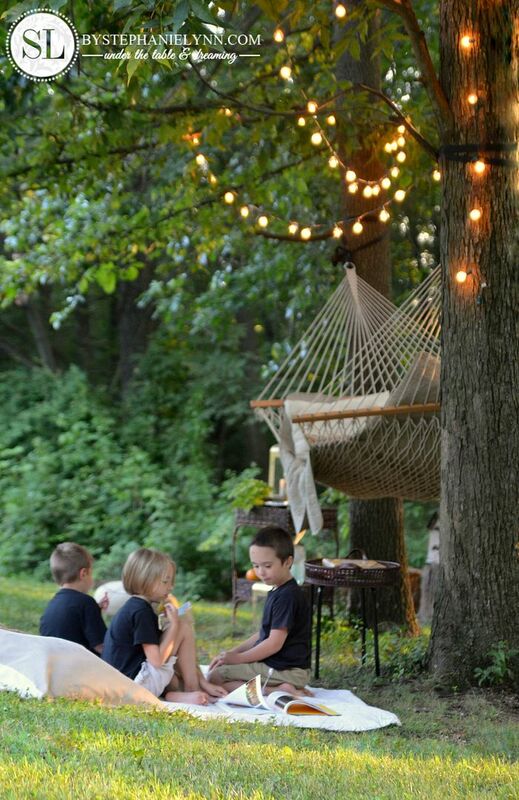 Our little secret summer getaway – right in our own backyard. Are you planning a summer getaway this year? 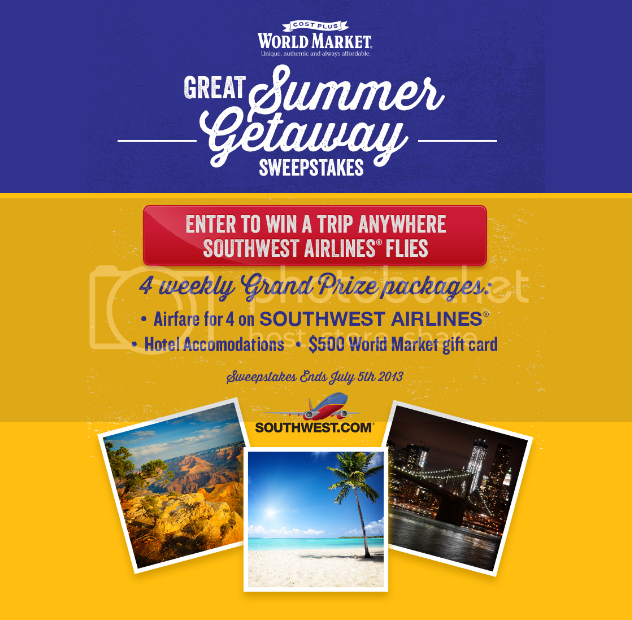 Enter the World Market’s Great Summer Getaway Sweepstakes for a chance to win one of four great summer getaways for four people – anywhere Southwest Airlines flies. The four weekly grand prize packages include Southwest Airlines airfare for four, hotel accomodations, and a $500 World Market gift card. 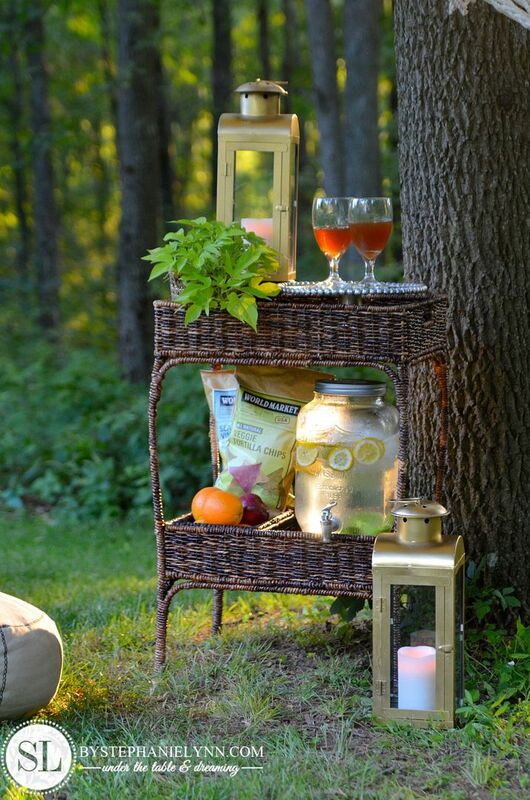 Check out more online from World Market including Outdoor Furniture, Picnic gear, Beach gear and more. 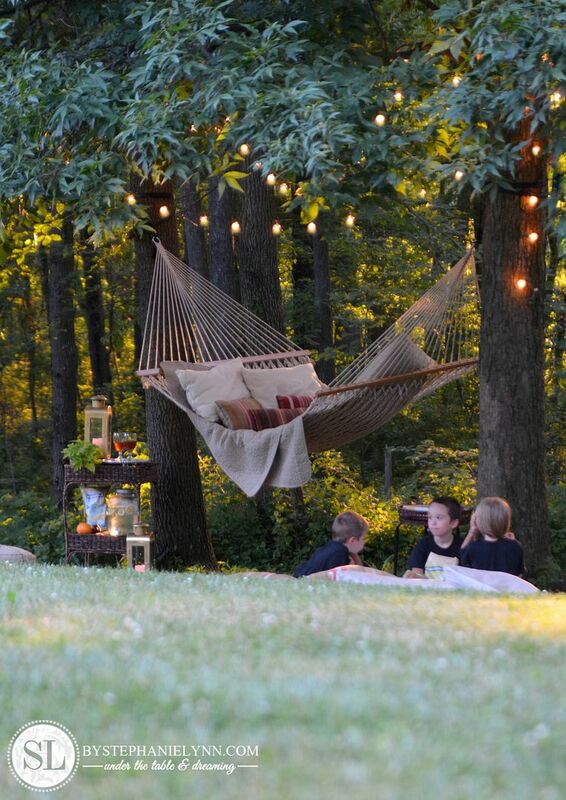 Here is to a fabulous summer ~ enjoy. Aw, Brandi – Thank you so much! 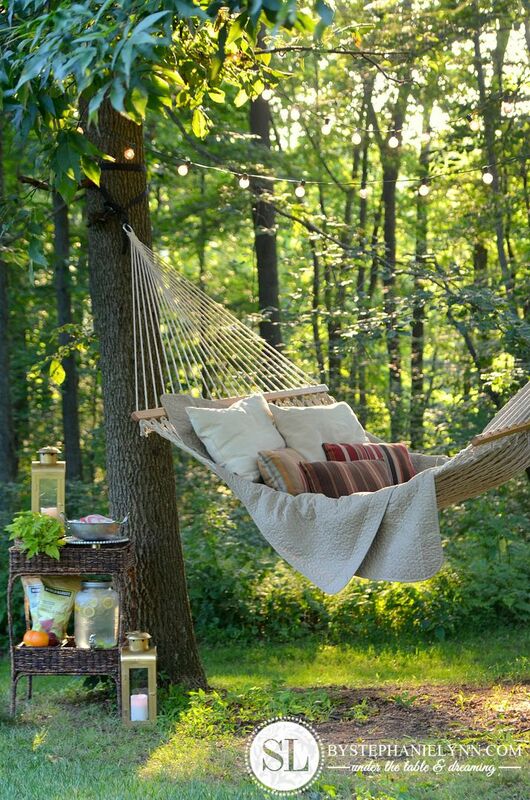 What a perfect retreat! 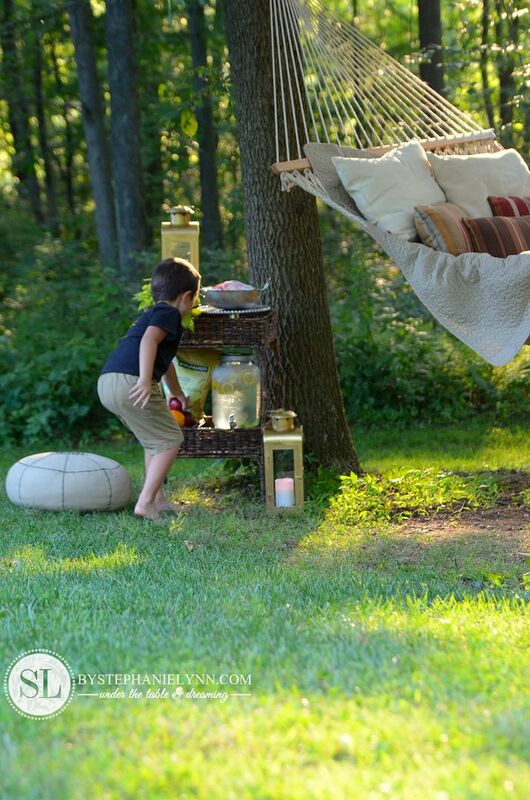 Too perfect that I thinkk you’ll have a hard time getting those kids away from that restful spot! Love it!!!! I want to come to cousin summer camp, too! Looks wonderful! 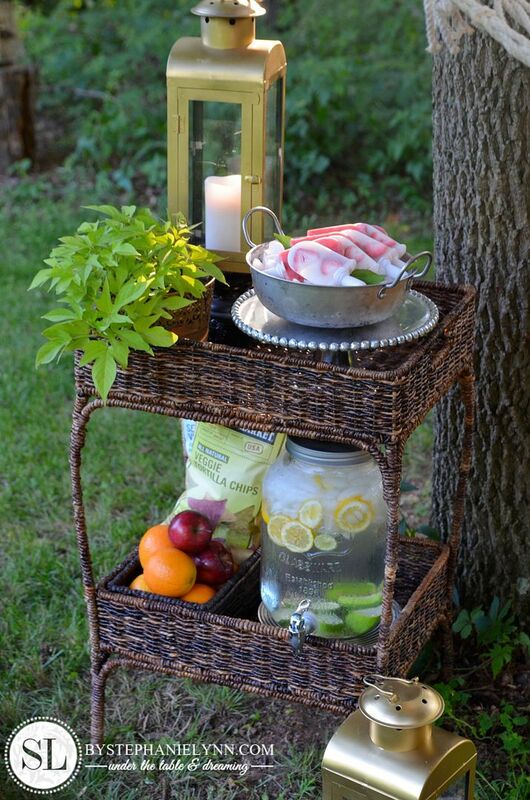 I love this water dispenser, but cant’ get it as I live in Ontario Canada!!! I was out all day searching for one,and here is a beautiful one on your post! 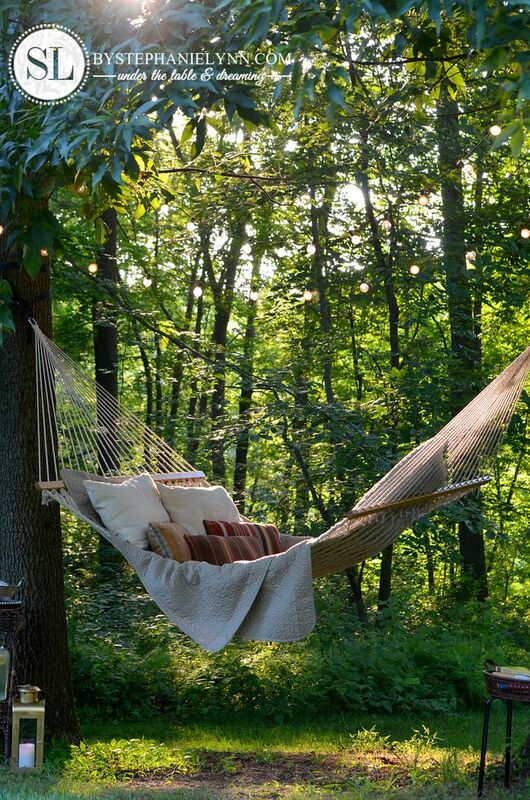 What a gorgeous place to relax. 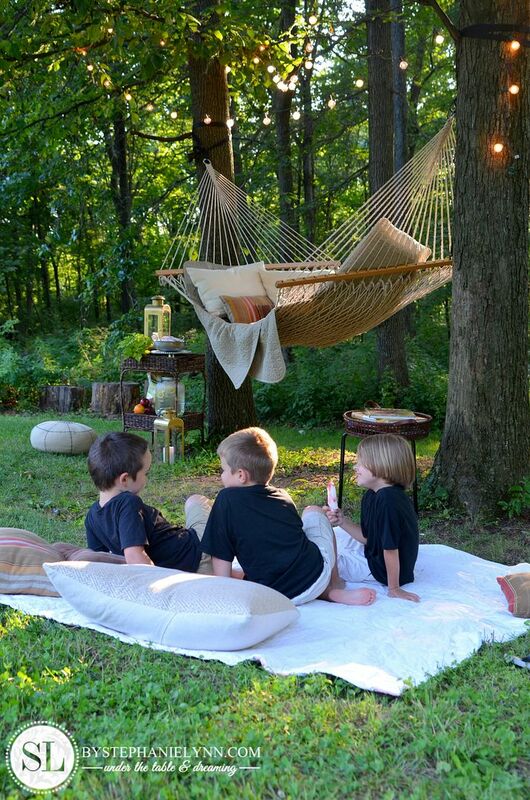 I think we’re going to start a project at our backyard as well! 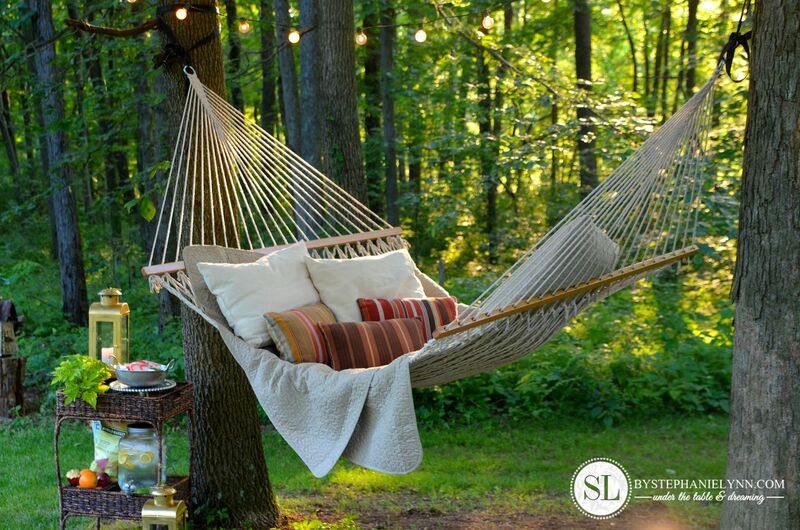 There’s nothing better than reading a good book under the tree branches while sipping on a lemonade and enjoying the rays of sunshine coming through the leaves. These pictures brought me straight back to childhood. You are right, we need to take more time for our children, and ourselves – enjoy the moment, relax and make room for new ideas. 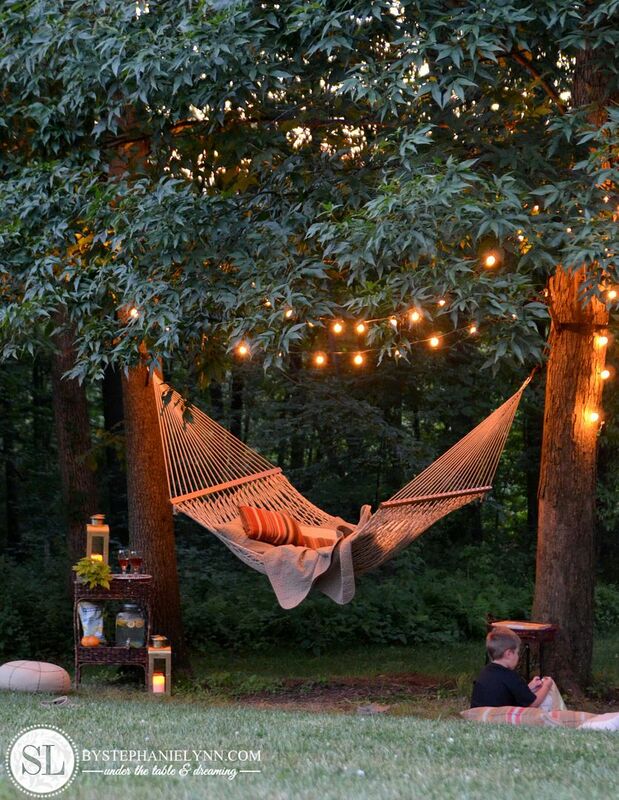 I’m curious about the string lights. I’d love to put lights but I have no electrical outlet outdoors. Did you have to have an electrician set it up? It looks like it’s just a wooded area with trees so how were you able to add the light? Thanks! Hi Kelly. Electric was ran to the space for the lights. If you do not have access to electric or the ability to have lines ran, battery powered lights would work as well. 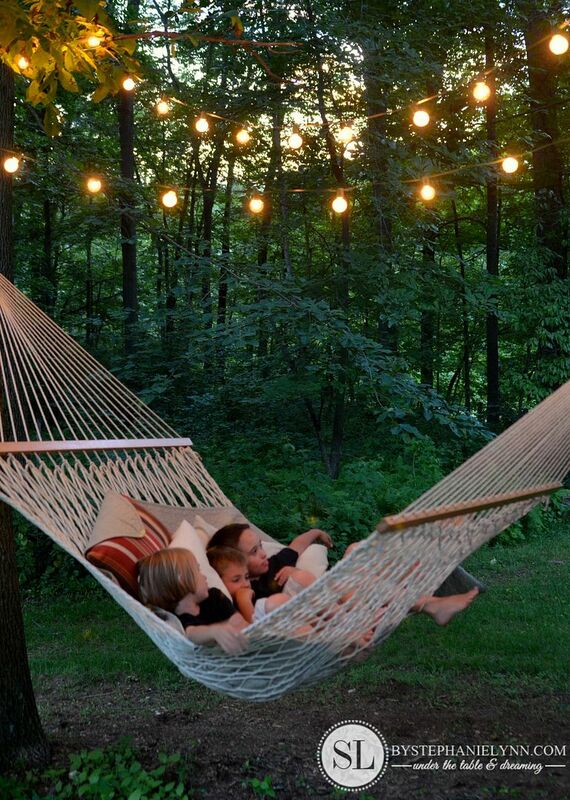 so cute, where & how did you plug in the lights? Thanks Kaytee – Electric was ran to this space. Looks inviting!! Are the lights battery operated? These particular lights need electric – though I’m sure battery powered would work just as well. Hello! First off – beautiful! I am wondering how you “powered” the lights strings? Thanks! Thanks so much Maureen! Electric was ran to the space. Love this! Do you have electricity out there for your lights or are they battery operated? These lights need to be plugged in. I’m sure battery operated lights would work as well. Where did you plug the lights in ? Electric was ran to this space.